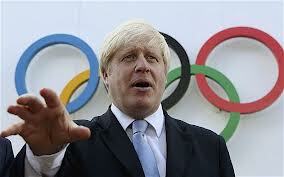 London mayor Boris Johnson pushed to ban single use plastic bags prior to the start of the 2012 Olympic Games. ‘Plastic bags are an unnecessary scourge on our environment and I’ve set out my ambition to make London a plastic bag free city,’ said Johnson back in 2011. Despite his efforts the city of London does not have an official bag ban on the record – for now. Johnson backed a bid in 2008 for an Act of Parliament that would have given London the power to ban free bags given out at stores, but the issue stalled after the ministers and civil servants assured the matter would be addressed. It was not addressed because retailers volunteered to take measures to cut bag use on their own. These measures did in fact reduce plastic bag use; however, the final tally just was not significant enough. Jules Pipe, Chairmen of London Councils, has stated that it is time for action since the retailers failed to live up to their word. London would require special dispensation from Westminster to create a ban and the Act of Parliament would have granted Westminster the power to implement charges similar to a fee system currently in place in Wales. Johnson has been eyeing the system Wales has in place and has made it clear he thinks this model would work wonderfully in London. Wales charges 5p per plastic bag handed out at the checkout. This fee encourages shoppers to switch to reusable shopping bags to avoid paying the fee. It is estimated that Wales will raise about 3 million pounds a year from this fee – the money will be used to clean up litter and improve parks, waterways and beaches in an effort to reverse the negative effects of plastic bags and the resulting litter. If London were to create a law that mimicked the one in Wales it is estimated that they could reduce plastic bag use within the city by 90% which works out to 1.4 billion bags. This measure could also raise about 8 million pounds, which could benefit organizations in sore need. ‘Whilst London doesn’t have the powers to implement bans or charges, I am keenly following Wales’s efforts to solve this problem,’ said Johnson. It is unfortunate that London does not have a ban, but Johnson is doing the right thing and researching a system that works so when he does have the opportunity to take action he can guide London towards success. Greener upon Thames, a grassroots group, sent an open letter to The Telegraph calling on Olympic organizers, visitors, suppliers and sponsors to avoid single use plastic bags. Together with the Mayor and London Organizing Committee of the Olympic and Paralympic Games (LOCOG), Greener upon Thames started a petition urging for the London 2012 Games to truly be the greenest games ever and ban plastic bags. The petition calls out the global efforts currently underway to ban plastic bags and points to the alarming amount of bags that are used each year. LOCOG pledged to make the 2012 Games “the world’s first truly sustainable Olympic and Paralympic Games, leaving a legacy far beyond the departure of the Olympic Flame” and the petition to bag plastic bans drills this point home. It was signed by countless athletes, environmentalists and celebrities who back this issue and are passionate about the environment. These efforts paid off since single use plastic bags are banned from official shops during the games which run from July 27 through August 12. In the official packaging guidelines LOCOG states, “We do not permit the use of oxo-degradable plastics or compostable biopolymers, which can find their way into the household waste stream.” Instead reusable and recyclable bags made from low density polyethylene which contains a minimum of 80 percent recycled material are available and these bags also make great souvenirs. Paper bags will only be available at certain official catering locations for large orders of food which will be taken to go. Mayor Johnson still has dreams of making London a plastic bag free city once the games are over and the athletes, coaches and spectators head home. In the meantime for the next several weeks he can enjoy hosting the world and having a much reduced environmental impact since there will be far fewer plastic bags in circulation. Once the Games are over it will be back to the business of making a plastic bag ban a more permanent fixture of London. Read more about Mayor Boris Johnson’s efforts at http://www.dailymail.co.uk/news/article-2022632/Boris-calls-plastic-bag-ban-London-fight-poisonous-waste-litter.html and learn more about the bag ban at the Olympics at http://greeneruponthames.org/.